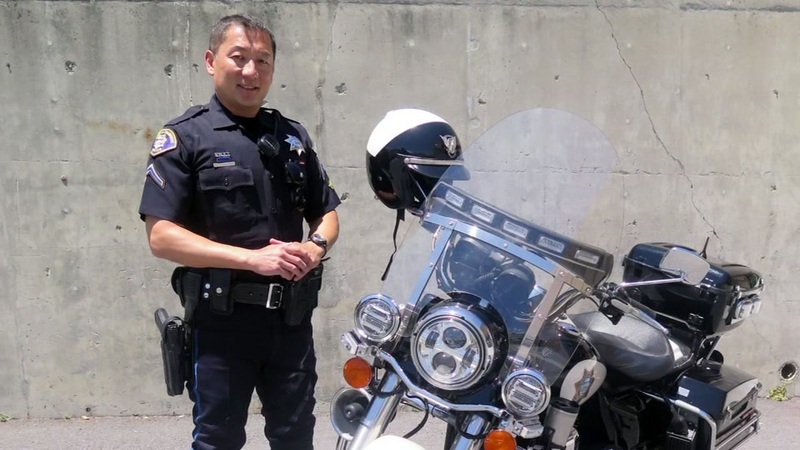 SOUTH SAN FRANCISCO -- A South San Francisco police officer who suffered a skull fracture when he was allegedly hit in the head with a skateboard Thanksgiving Day was released from the hospital, police said Friday. Ofc. Robby Chon was released Wednesday and is in stable condition. He will return home and undergo rehabilitation, according to police. Doctors are optimistic that he will make more progress. Chon's family and police said they are grateful for the support they've received during the last month. The man accused of hitting Chon, Luis Ramos-Coreas, was in court on Wednesday. Two doctors were appointed to determine whether he is fit to stand trial, San Mateo County prosecutors said. Officers who initially responded tried to approach the 28-year-old Ramos-Coreas because he was allegedly making the disturbance. Ramos-Coreas allegedly refused to obey officers and then rode away on a skateboard when other officers arrived. Chon chased him and Ramos-Coreas allegedly stopped, turned and hit Chon in the head with the skateboard. Ramos-Coreas allegedly started running again, but other officers were able to stop and arrest him. Ramos-Coreas, who is a South San Francisco resident, has been charged with attempted murder among other offenses, prosecutors said. He is scheduled to be back in court on Feb. 2 at 8:45 a.m. when the doctors submit their reports. In the assault, Chon lost consciousness and required brain surgery to stop some bleeding, prosecutors said. Police said that Chon has been inspired by all the thoughts, prayers and support he's received during his recovery. He is thankful to be home for Christmas and for the community of people who have made that possible. Ramos-Coreas attorney Ryan McHugh declined to comment on the latest developments in the case.